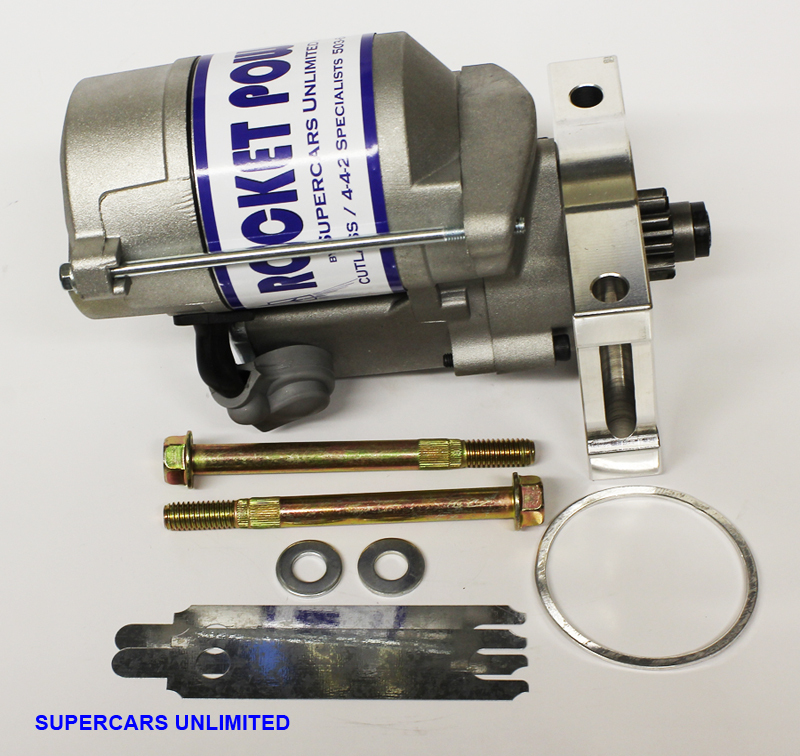 Our Super High Torque Starter cures the hard to start condition common with modified big blocks. The gear reduction design provides a 50% increase in torque over a Delco starter. Yet uses half the amps required for starting. Weights less than half of an original Delco starter. By design, it is virtually unaffected by heat. And will clear most aftermarket oil pans and headers. Our racing starter features all brand new components (no rebuilt parts!). Weighs 8.4 lbs.